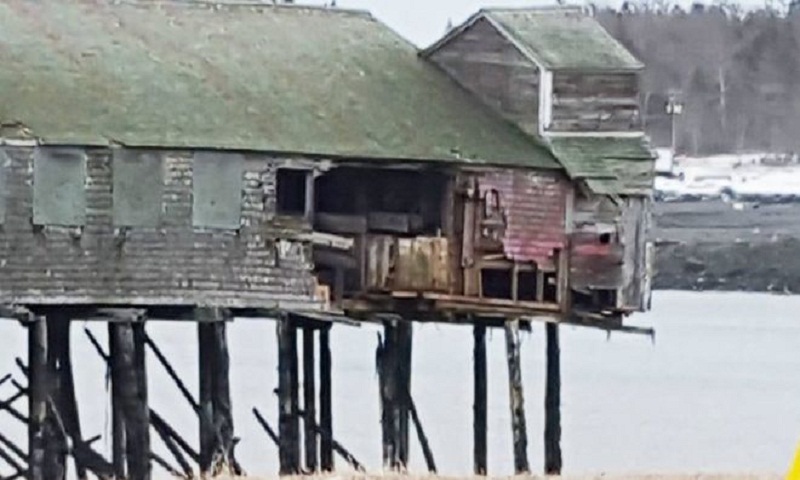 A historic building in the US has become the subject of an international dispute after it was swept away to a Canadian island during a blizzard. McCurdy's Smokehouse in Lubec, Maine, is the last traditional herring facility in the US and is on the National Register of Historic Places. But last week's "bomb cyclone" tore one of the five buildings from its supports and floated it to a Canadian island. A fight over its remains created tensions between Canada and the US. Rachel Rubeor, president of Lubec Landmarks, a nonprofit organisation that works to preserve the smokehouse, told the Bangor Daily News on Thursday that Canadian officials refuse to let her team salvage the building's remains, until the legal claims by Canadian scavengers can be sorted out. Large portions of the building's roof, flooring, fireplace, and side walls survived the storm. A Canadian and an American contractor have been commissioned to bring back the remains by the 17 January.